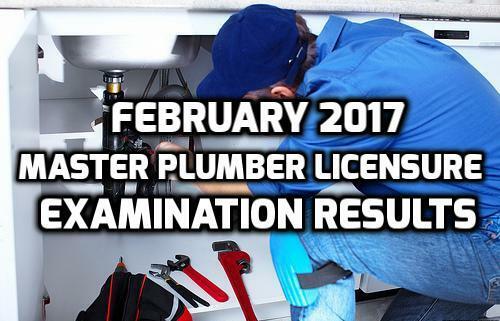 The results of the recent February 2018 Master Plumber Licensure Examination are now available through the latest published information of the Professional Regulation Commission (PRC) online. According to the commission, about 1,064 applicants took the licensure held on February 13-14 and only 429 passed the board examination. The PRC was able to release the names of passers after 2-working day of the final scheduled exam and administered by the Board for Master Plumbers. 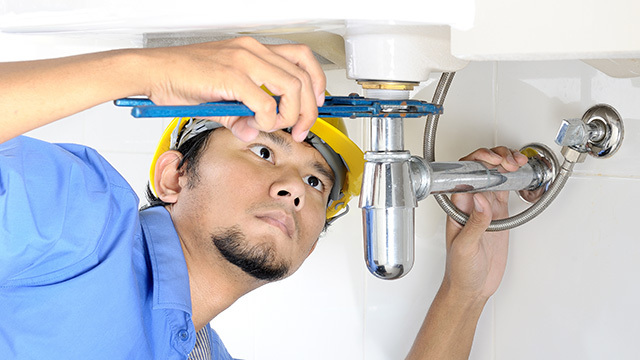 The test centers include Baguio City, Iloilo City and mainly the City of Manila. Based on the information shared through the official website of the PRC, the start of the issuance of Professional Identification Card (ID) and Certificate of Registration issuance will be on February 22 until March 9, 2018. It is very important for the board passers to visit the website online for further instructions and details. 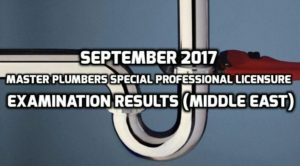 From the recently concluded board exam for September 2017 Master Plumbers Special Professional Licensure Examination, the Professional Regulation Commission (PRC) already released the names of those who passed the board exam in the Middle East. According to the commission, 150 applicants took the examination last September 1-2, 2017 and 62 of them passed successfully. Board of Master Plumbers Chairman and Engr. Valentino M. Mangila headed the recent examination and assisted by some board members Architect Prospero A. Abellano and Engr. Pedrito D. Camilet Jr, as designated by the PRC. As detailed through the official website of the commission prc.gov.ph, all passers need to comply with necessary requirements and follow the guidelines for the oath taking. In addition, they need to complete their registration for the Roster of Registered Professionals, the online site added. 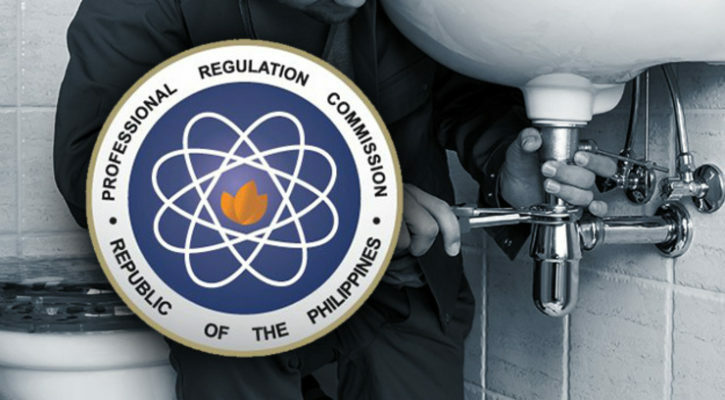 The Professional Regulation Commission (PRC) already revealed the list of successful passers for the July 2017 Master Plumber Licensure Examination. 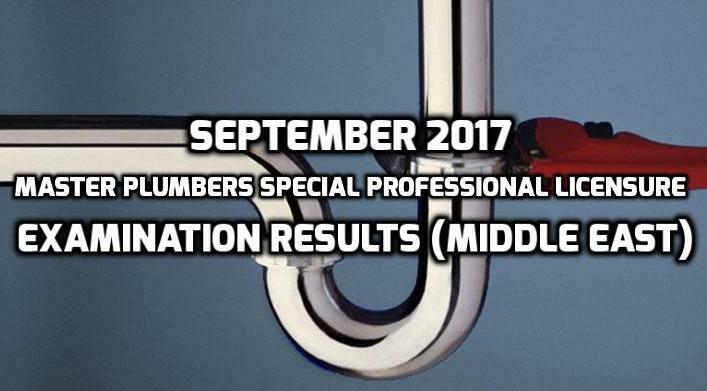 The commission announced the results after 3 working days of the final examination date, which took place on July 24-25, 2017. According from the shared information through PRC, about 3,141 took the board exam and 798 passed successfully. The venues for the recent examination include Baguio City, Cagayan de Oro City, Cebu City, Davao City, Iloilo City, Manila, Legazpi and Tacloban City. 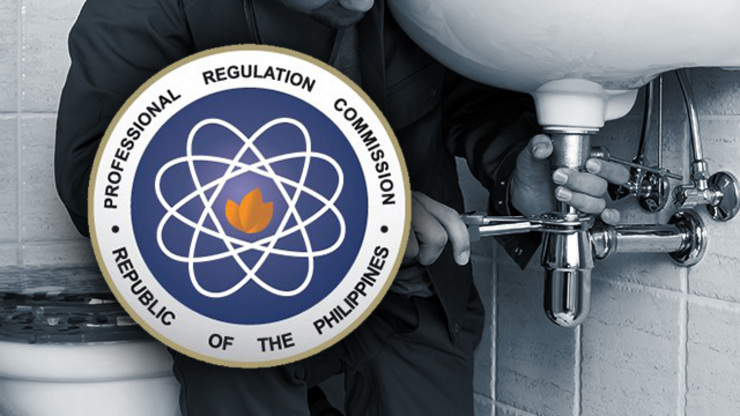 The Board of Master Plumbers administered the licensure or board exam headed by the Chairman, Engineer Valentino M. Mangila and assited by other board members Architect Prospero A. Abellano and Engineer Pedrito D. Camilet Jr. Roll of Successful Examinees in the MASTER PLUMBERS LICENSURE EXAMINATION Held on FEBRUARY 10 & 11, 2016 Released on FEBRUARY 15, 2016.